Are you interested in adding botulinum toxin and/or dermal fillers to your practice? Start learning today with the Level 1 online course. Learn the foundations for offering both the aesthetic and the therapeutic applications of injectables within a dental or medical practice. Level 1 online provides you with an in-depth review of head and neck anatomy and it’s relevance to the administration and pharmacology of botulinum toxins, dermal fillers and other non-aesthetic therapies and procedures. Understand what is needed to examine a patient and arrive at a differential diagnosis. Level 1 online provides 16+ hours of advanced anatomy learning – including an online e-Cadaver and e-Skull lab, its relevancy to the administration and pharmacology of botulinum toxin type A and to other aesthetic and non-aesthetic therapies and procedures, proper photography, record keeping, office integration and more. Learn how to arrive at the proper diagnosis and treatment plan. Botulinum toxin (aka Dysport®/Botox®) is often the first procedure of choice in many facial rejuvenation treatments. However, to ensure ideal treatment results the practitioner must also have knowledge and understanding of how diode lasers, intense pulsed light, fractional lasers, microdermabrasion, dermal fillers and other treatments can be used to treat various conditions. Develop a broad understanding of current popular therapies so that you can assess your patient’s needs and desires, document pre-treatment conditions and properly select the appropriate treatment and treatment sequence. Botulinum toxin type A (aka Dysport®/Botox®) acts on the terminal nerve axon ending, preventing the release of the neurotransmitter acetylcholine (ACH) and chemically blocking transmission at the synapse. Developing a detailed understanding of the anatomy of the muscles of the face and neck enables practitioners to select the muscle, or group of muscles, to relax for a specific result. Detailed muscle knowledge and precise marking of these muscles leads to predictable results and minimal side effects. Documentation of your patient’s pre-existing condition, the exact sites injected and the results of any treatment provided are critical for proper patient care and evaluation as well as medical-legal reasons. Photography and the treatment record form are invaluable tools. The Roberts Facial Rejuvenation Photography series is taken at each appointment to record the pre-existing conditions and the changes that have occurred following each treatment. Safe patient treatment and an efficient office delivery of botulinum toxin and dermal fillers requires proper office integration systems to be in place. This section of the course deals with the nitty, gritty details of how to integrate botulinum toxin successfully into a medical or dental office. In-depth knowledge of anatomy is paramount in understanding facial rejuvenation and cosmetic injectable treatments. 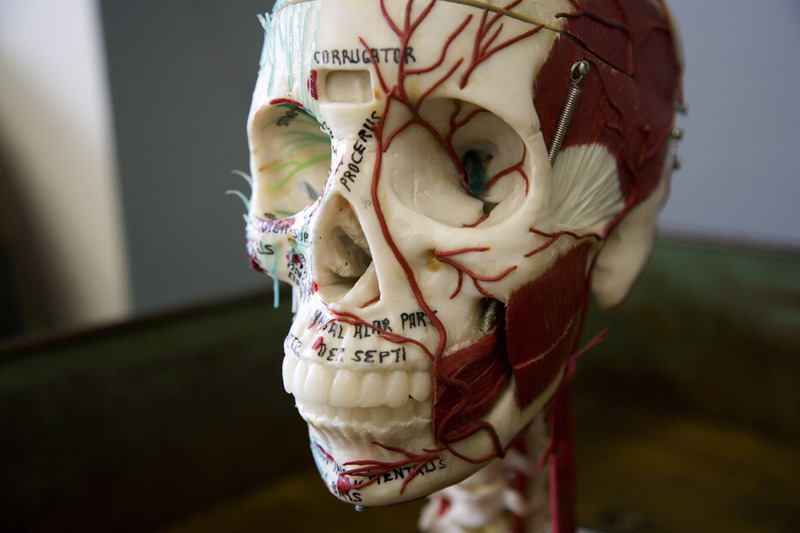 In this section we will study the muscles of the face, their origins, insertions, innervation, arterial supply, functions, and how they relate to the 3-D tissue planes. Building on tissue planes, we review the soft tissue relationship with the bony structures of the head & neck. A review of the sensory innervation in relationship to these hard and soft tissue structures allows us a better understanding of the sensory input involved in bruxing, grinding, TMD, headache, migraine and myofascial pain. This introduces us to a whole new world of therapeutics and the synergy with cosmetic treatment. e-Skull Lab: Review the soft tissue relationship with the bony structures of the head & neck in the online e-Skull lab. 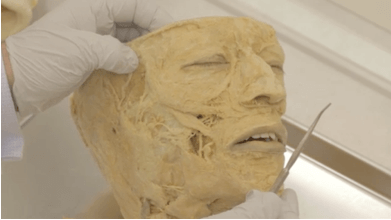 e-Cadaver Lab: Review the soft tissue relationship with the bony structures of the head & neck. 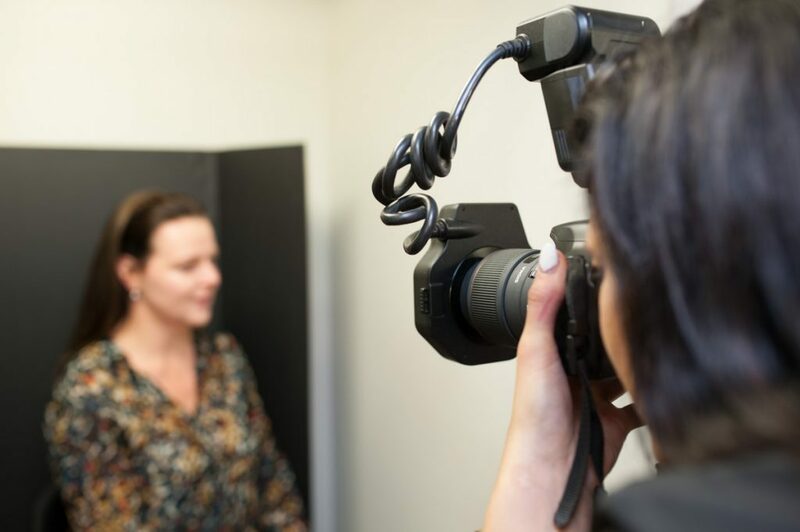 Learn proper photography and record keeping using the Roberts Facial Rejuvenation Photography series – 29 photos taken at each appointment to record pre-existing conditions and the changes that have occurred following each treatment. Learn how you can integrate photography into your practice. Understand what clinical systems are required in order to effectively integrate facial rejuvenation procedures, including botulinum toxin and dermal fillers into any type of dental or medical practice. Develop a deep understanding of head and neck anatomy. Understand the importance of detailed patient history taking and learn the industry’s leading Roberts Facial Rejuvenation Photography™ series (29+ photos) for photographic documentation. Level 1 is an online self-directed course. Upon registration, users will have access to the course materials for one-year. A downloadable (PDF) syllabus is provided. 16 continuing education (CE) credits will be provided upon successful completion of the online exam. Who can take the online Level 1 course? Since Level 1 is completed all online, anyone can take the course. However, we recommend the course for dental, medical and nursing practitioners, as well as medical/dental/nursing students. Upon registration, users will have access to the online course materials and exam for one year. Upon registration, your access details will be emailed to you within 30 minutes. We recommend bookmarking the membership website on your computer, and saving your log-in details. How do I complete the course materials and exam? Your access details will be emailed to you within 30 minutes of registering. We recommend reviewing the “Welcome” tab and downloading your online syllabus to begin. We recommend that you begin and save the exam as you go through and complete each section of the course. Once you submit your exam online, your results will be immediately emailed to you. How many questions and how long is the exam? The exam includes 300+ question based on the course materials. The exam is intended to highlight important aspects of the course material. There is no time limit to take the exam. Save and complete the exam as you complete the course materials. You will have the opportunity to review and change your answers before submitting. How many Levels/courses will I be required to take? Take as many Levels with PTIFA as you desire! The number of Levels of courses required to take depends on how advanced you would like to take your learning. However, in order to begin offering botulinum toxin services within your office, you will need to take a minimum of both the Level 1 and Level 2 course. I want to take a combined botulinum toxin/dermal filler course. Is this available? PTIFA offers a tiered and gated educational model to botulinum toxin and dermal fillers, as we believe practitioners need both an anatomy-based education, plus the opportunity to master techniques and treatments, prior to learning the more advanced skills. We currently do not offer same-day or combined courses. What format are the online course materials? The course videos are viewed through our online membership website. An internet connection, browser (Google Chromse is recommended), and Adobe Flash are required to play the videos. You will also be able to download the course syllabus (PDF) and all supporting course documents. What is required to successfully pass the exam? What happens if I am not successful passing the exam? A minimum grade of 80% is required to pass the online exam. Please contact us for further details. Can I review or change my answers on the exam prior to submitting? Yes. Users can save, review and change their answers prior to submitting the exam. There is no time limit for completing the exam. Can I share this course with my team? Yes! We recommend that you start motivating your team* and improving your their knowledge by sharing your access details after completing Level 1. Should any of your staff like to receive CE credits for completing Level 1, a small fee and separate account is required. Please contact us for details. *Please note that all practitioners (physicians, dentists, nurses) are required to register their own Level 1 accounts, and that accounts can not-be shared. Course videos are viewed through the membership site and cannot be downloaded. On-going access to your course videos is always available to members of the online Botox Study Club. What happens if I want to review the online course materials after one year? Upon registration, users are provided access to the course materials for one-year. Should you wish to have on-going access to the course videos, you can join the online Botox Study Club upon completing Level 2. See details here. How is the syllabus provided? You will be able to download an online syllabus, as well as supporting documents, through the membership site. Can I register for Level 1 and Level 2 at the same time? Yes, we recommend registering for both the online Level 1 course and Level 2 if you see a Level 2 hands-on course date that works with your schedule. Successful completion of both the online Level 1 and Level 2 exams is required prior to attending the Level 2 hands-on course date. How long after taking Level 1 do I have to complete Level 2? There is no time limit between taking Level 1 and Level 2. You can register for Level 2 at any time. Most people register for Level 1 and Level 2 at the same time. Upon registering for the Level 2 course, you will be provided with access to review the online Level 1 course materials again. Will I be able to offer botulinum toxin and/or dermal fillers in my practice after completing the course? Upon completion of the Level 2 course, you will have the training to be able to offer botulinum toxin treatment for the cosmetic use in the upper face, as well as for myofascial pain. Please contact your college for scope and additional practice guidelines. Do I have to complete Level 1 before taking Level 2? Can I just take Level 2? Yes. All of the higher Level courses are based on the advanced anatomy taught in Level 1. Without Level 1, practitioners will not understand or benefit from the advanced Level courses. PTIFA is an anatomy-based educational provider and is known for leading the industry’s patient care practices. The anatomy taught in Level 1 is unprecedented world-wide and across the industry. I have extensive anatomy background. Can I skip Level 1? PTIFA is known as an anatomy-based educational provider within the industry. This is one of the many reasons why dentists, physicians, nurses and specialists from across the world travel to participate in our hands-on courses. In the past, we allowed certain practitioners to skip Level 1. We found that these practitioners struggled in the higher level courses as they did not have the detailed anatomy review (16+ hours) from Level 1. All of the hands-on course materials are based on the e-Advanced Anatomy, e-Skull and E-Cadaver labs taught in Level 1 - which is why it is a pre-requisite for all of the other courses. We invite you to contact us to discuss your experience and the educational opportunity at PTIFA. Why is there such a focus made on anatomy? Isn’t injecting botulinum toxin & dermal fillers easy? 99% of negative side-effects are injector related. In order to achieve predictable results, and avoid the negative side-effects, practitioners must have a deep understanding of head and neck anatomy. PTIFA is known as anatomy-based educational provider within the industry. This is one of the many reasons why dentists, physicians, nurses and specialists from across the world travel to participate in our hands-on courses. All of the hands-on course materials are based on the e-Advanced Anatomy, e-Skull and E-Cadaver labs taught in Level 1 - which is why it is a pre-requisite for all of the other courses. Do I need to have an active medical/dental/nursing license to take Level 1? No. As the Level 1 course is all online, anyone can take the course including dental, medical and nursing students. I took the Level 1 course several years ago. Can I have access and review the information again? Upon registering for Level 2, users will re-gain access to the Level 1 course materials. Access to the online course videos is also available to members of the online Botox Study Club. When and how do I receive my CE credits? Upon successful completion of the online exam, your certificate of completion including your CE credits will be emailed to you. Please save the file for your records. Is a certificate of completion provided? Yes. Upon successful completion of the online exam, your certificate of completion including your CE credits will be emailed to you. Please save the file for your records. I lost my CE certificate. How do I get a copy? Please search your email inbox for your exam results. The link to your certificate is located in this email. A fee of $125 is charged is charged for PTIFA to re-send copies of your certificate. I’m currently in medical/dental/nursing school. Can I take this course now? Yes. As Level 1 is all online, anyone can register for the course. I’ve registered for Level 1. Can I receive a refund? Please review our Registration Policy. I’ve taken a “Level 1” course elsewhere. Can I skip PTIFA’s Level 1? We appreciate and are familiar with other courses being offered in this field. PTIFA is an anatomy-based educational provider and is known for leading the cosmetic injectable industry’s patient care practices. Our courses are internationally sought after by specialists, physicians, dentists and nurses wanting to take the highest level of training available. The anatomy taught in Level 1 is unprecedented world-wide and across the industry. From our 10+ years of offering courses, we have not come across another course that teaches anatomy and the patient-care practices at the level of PTIFA. We recommend that you use the “BOTOX IQ TEST” to evaluate the depth of your training. For further details and to further discuss your level of training, please contact us. Ability to start learning today. Level 1 is offered online so that you can complete the course on your own time, and from the comfort of your own home or office. Take the course at your own speed. Save and complete the course videos and exam when you have time. You will continue to have access to the course materials for one year. Review the materials as often as you want. As the course is online, you can review the materials as many times as you wish. Develop a deep understanding of anatomy, achieve predictable results and avoid the negative side effects with our anatomy-based training (16+ hours). Effectively integrate botulinum toxin & dermal fillers into your office by developing a complete understanding of all the clinical systems required to be successful. 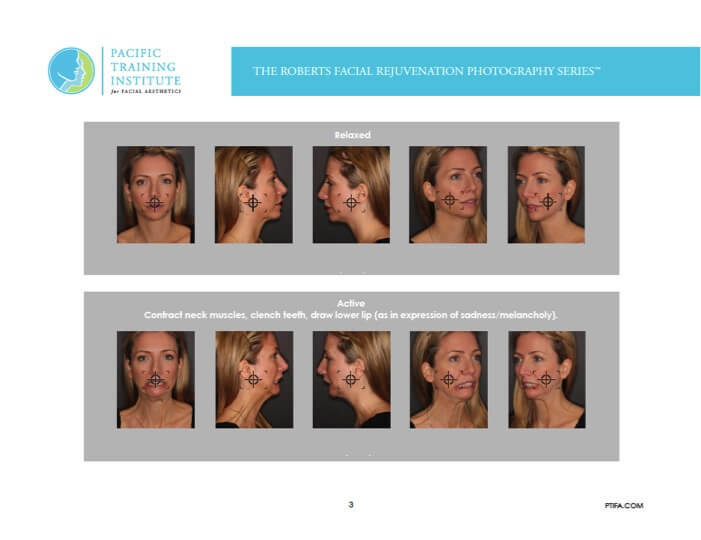 Achieve 99% case acceptance and impeccable records by understanding the importance of detailed patient history taking and learning the industry’s leading Roberts Facial Rejuvenation Photography™ series for photographic documentation. Improve other areas of your professional practice by reviewing and developing a deep understanding anatomy. This course has many cross-over applications to other areas of dentistry, medicine and nursing. Additionally, a number of College Presidents have indicated that the following three sections: e-Advanced Anatomy, e-Cadaver and e-Skull should be a mandatory refresher course every 3-5 years for all College members. Exceed College Training Requirements. Many colleges require formal training in order to offer botulinum toxin and/or dermal fillers. Learn from reputable & Industry-leading Faculty – our Instructors have effectively integrated treatment into their own private practice, teach with their own before-and-after cases and have mastered PTIFA”s proven Clinical Protocols. Level 1 online is $1,695. There are no pre-requisites to take Level 1. All funds are in Canadian Dollars. Please review our Registration Policy before registering. PTIFA is an ADA CERP recognized provider. ADA CERP is a service of the American Dental Association to assist dental professionals in identifying quality providers with continuing dental education. ADA CERP does not approve or endorse individual courses or instructors, nor does it imply acceptance of credit hours by boards of dentistry. PTIFA designates Level 1 for 16 hours of continuing education credits. Start today with Level 1 online. Register for the Level 2 hand-on.